On 4th July 1975, HMS Abdiel arrived at the Royal Naval Dockyard in Portsmouth with an unusual cargo: thousands of photographic negatives depicting Islamic architecture. 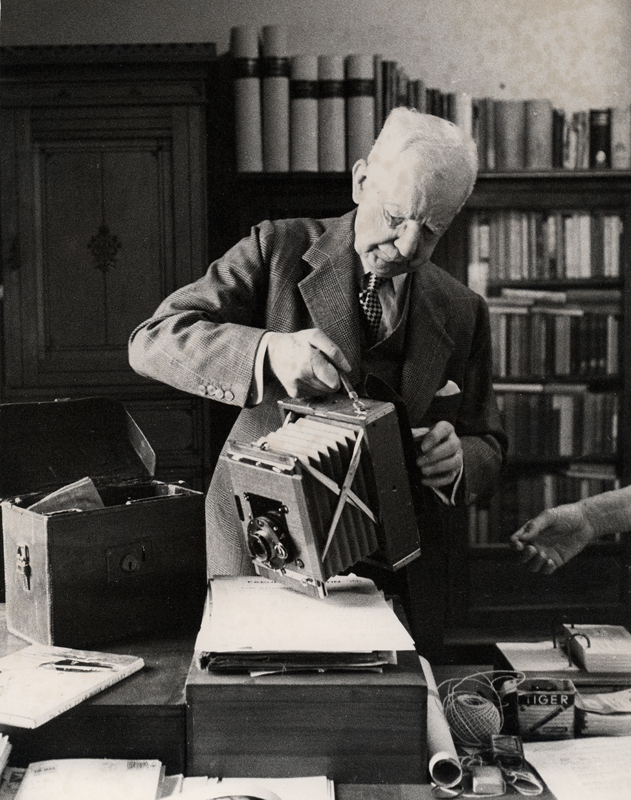 They were part of the unrivalled photographic archive of Professor Sir Keppel Archibald Cameron Creswell (1879–1974), who had spent some six decades studying and documenting Islamic architecture. In 1973, Creswell bequeathed his collection of over 8000 negatives to the Ashmolean Museum. After his death this was transported to England courtesy of the Royal Navy, on a ship returning home after Suez Canal clearance operations. Creswell at the American University in Cairo, 22 April 1972. Born in 1879 in London, Creswell trained as an electrical engineer. This involved not only mechanical but also architectural drawing, a skill that he employed extensively in surveying Islamic architecture. Unable to join the Archaeological Survey of India due to the outbreak of World War I, in 1916 he entered the Royal Flying Corps and was posted to Egypt, where he chosed to remain domiciled after his return to civilian life. Creswell's official involvement with Islamic architecture began in 1919, when he was appointed Inspector of Monuments under General Allenby as part of the British Mandate of Palestine. His task was to compile an inventory of monuments, and to achieve this was stationed successively in Aleppo, Amman, Haifa, and Jerusalem. At this time, Creswell measured, drew, and photographed buildings from Iraq to the Egyptian frontier in unprecedented detail, and by 1920 was already planning a history of Islamic architecture in Egypt. Following military service, Creswell pursued his survey of Islamic architecture under the patronage of King Fuad 1. In 1931, he joined the staff at the Fuad University in Cairo as a lecturer and then a tenured professor in Islamic Art and Archaeology – a post that he held until 1951. In 1939, he became a member of the Higher Council for the Conservation of Arab Monuments, and in 1949 a trustee of the Palestine Archaeological Museum in Jerusalem. In 1956, the American University in Cairo offered Creswell an appointment as Distinguished Professor of Islamic Art and Architecture, and a safe haven for his extensive library. In return, Creswell presented his papers, photographic prints and books (over 3,000 volumes) to the university, on the understanding that access would be limited during his lifetime. 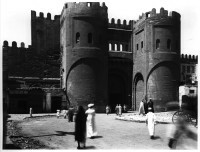 Creswell remained in Cairo until 1973, when, at the age of 94, he moved back to Britain. He passed away in Acton in 1974. His work, particularly the volumes on early Islamic architecture and the Islamic architecture of Egypt, remain to this day essential reference for students and conservators as well as specialists in the field.